On the occasion of its launch on WeChat, BNP Paribas wanted to communicate its digital presence in an effective way to its audience with its first digital campaign. 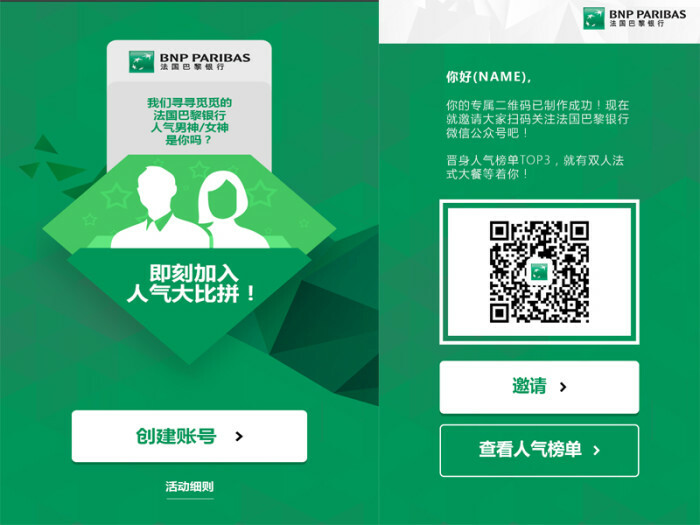 The bank then partnered up with social and mobile agency KRDS Shanghai to recruit followers on WeChat, and thus an internal campaign ‘BNP Paribas brand ambassador’ was launched on WeChat on 16 August to 25 August. The campaign strategy included recruiting new members using a QR code assigned to each employee. Following this, the employee was encouraged to share their unique code with BNP Paribas stakeholders (clients and partners) so they can scan the code to follow BNP Paribas on WeChat. 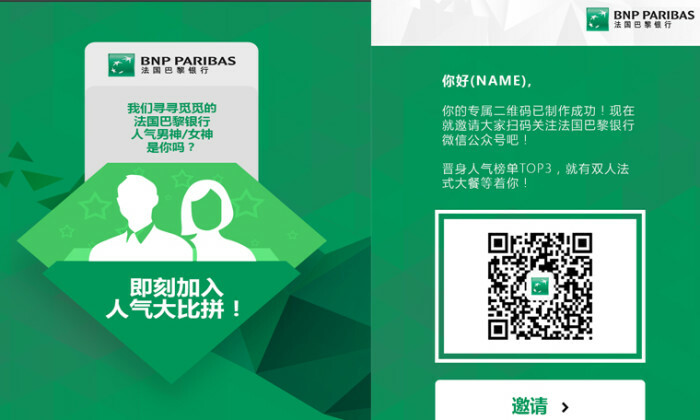 The focus was to build a relevant and rich community on the WeChat account and this was possible through the external connections of BNP Paribas employees. It was launched on 16 August and hit over three times the target followers within three days of the campaign. KRDS Shanghai also bagged a community management contract with the bank for a period of one year and upcoming social media and digital campaigns. This touching video from Havas Media Ortega shows how moms have become an irreplaceable part of our lives – down to the heart-felt.. The phone case company's marketing stunt for CE-candidate John Tsang turned 'Uncle Pringles' into a brand ambassador and won consi..
Mutant Communications has appointed former Human Resources magazine editor Rebecca Lewis as account director. ..